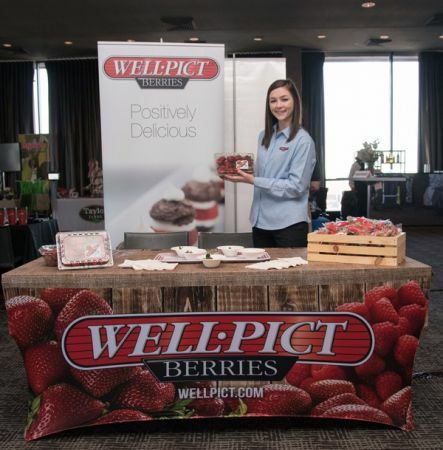 Our experience at the inaugural event, held in Atlanta, GA.
Lauren Melenbacker for Well•Pict Berries. Photo courtesy of The Produce News (link below). 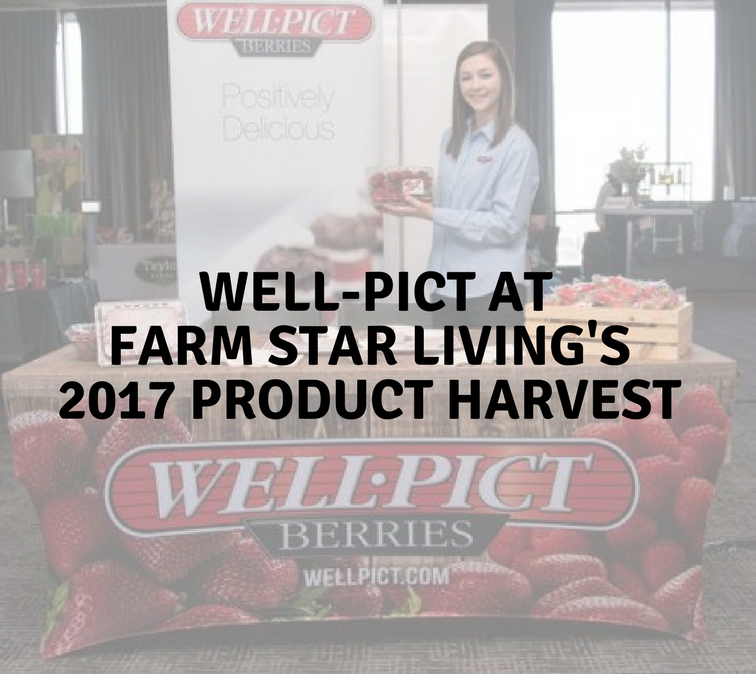 January 26, 2017 marked the inaugural Farm Star Living Product Harvest, held at the W Midtown in Atlanta, GA. The Product Harvest was the perfect marriage between a traditional tradeshow and a lively cocktail party, infused with easy access to delicious fresh fruits, veggies, nuts, and meats. It was an ideal setting to meet and connect with fellow industry members, the media, and potential consumers. This experience was an important one for Well•Pict. Responsible practices and transparency on behalf of our network of growing partners has been of the utmost importance to our company, even from our early days. This is why we enjoy working with Farm Star Living so much, as their open approach to food and transparency mirrors and complements our own. 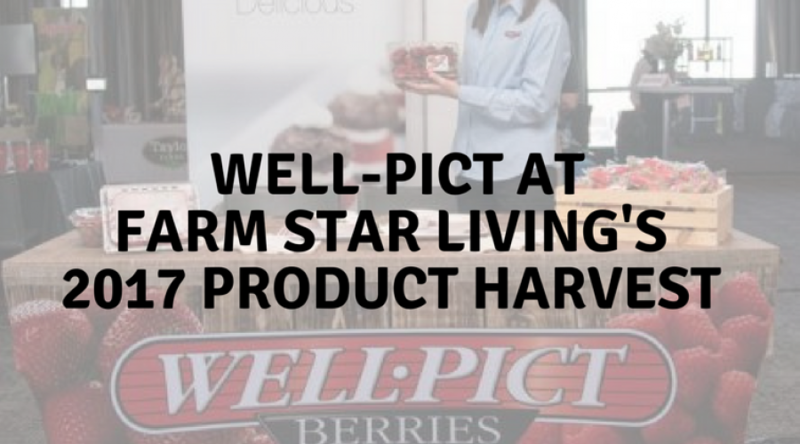 For more on this, watch our own Lauren Melenbacker explain why Farm Star Living is a good partner for Well•Pict Berries. She comes on screen at the 1:51 minute mark. If you missed this wonderful event, check out the video below for a bit of a recap, and then mark your calendar for Product Harvest 2018! Find additional press from The Produce News here.